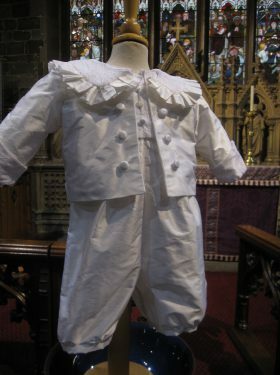 A christening for a little boy can sometimes pose a dilemma for parents when they do not want to baptize their little one in a gown and yet a romper does not seem as “glam” as a girl’s gown. 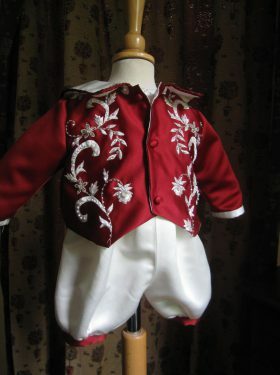 The solution is to have a little jacket created to compliment the style of romper chosen. 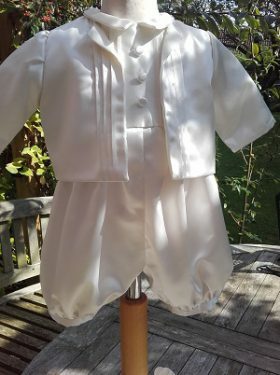 Little Doves can make a jacket to match every romper or gown/romper featured on our Boys pages. 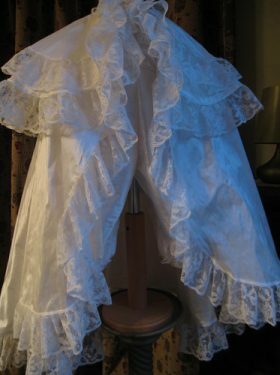 Choose either with no collar, with a Peter Pan collar or a big flamboyant lace collar. 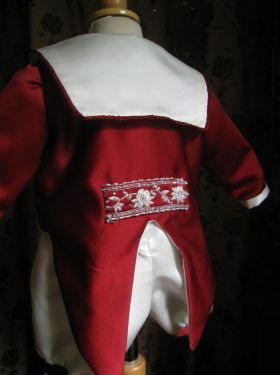 We can also add additional trimmings to cuffs and decorative buttons. 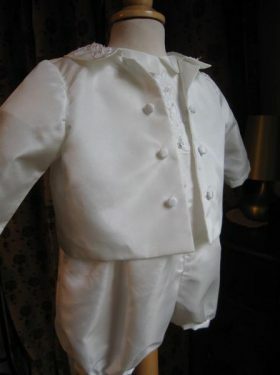 We can even create christening jackets for boys complete with full "tails!" 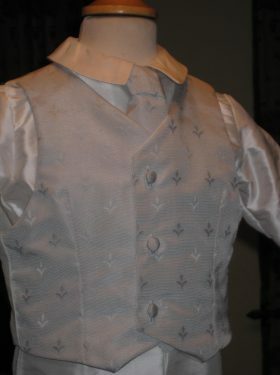 An alternative is to compliment your outfit with a little waistcoat. A selection of jacquard silks are available, please contact us for details. 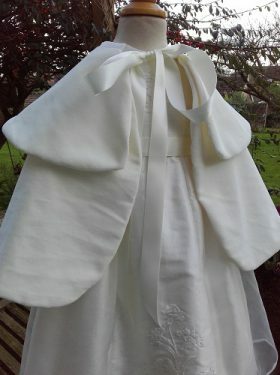 And finally, no outfit would be complete without a little christening cap. 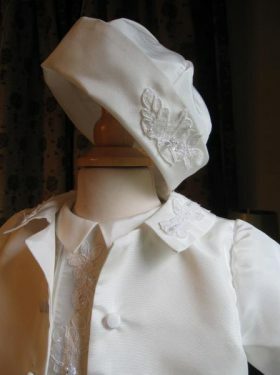 Our stylish little silk caps can be made with additional trims to compliment your chosen outfit.